Green building consultant and LEED consultant are green careers that involve guiding architects, building owners, building contractors and engineers to make sure each new development is built to be as much of a sustainable construction as its creators desire. Today’s guest is Debbie, a green building consultant who changed careers from working in an architecture firm to bring meaning to her career and protect the environment. 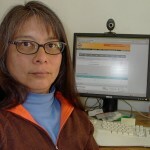 Be SURE to visit greenexamacademy.com – they’re a respected LEED exam study guide resource and one of our affiliates. To do what Debbie does, you’ll want to take the LEED exams and get your LEED certification. Like she says, the tests are tough – so you’ll want to take them seriously! More on LEED below. Green building careers range from those who understand the environmental sciences, pass the LEED Exams and serve as consultants like Debbie to creating, marketing and selling sustainable building materials. Green building construction is a rapidly growing field as architects, developers and engineers look to design and build new structures that are resource and energy-efficient throughout each building’s life. Green buildings will represent 20-25% of new commercial and institutional construction starts by 2013, according to research firm McGraw-Hill Construction. This basically DOUBLES where we’re at today and provides lots of opportunity for careers in green building. LEED is the nationally accepted standard for green building design, construction and operation. It’s a third-party certification program that promotes a whole-building approach to sustainability by recognizing performance in sustainable site development, water savings, energy efficiency, materials selection and indoor environmental quality. You can find additional LEED certification info at the Green Building Certification Institute (GBCI) website. Also, don’t miss our Green Career Resources (books and websites we recommend). Careers Out There Host Marc Luber: Hey Debbie, how you doing? Green Building Consultant Debbie: Pretty good. Host Marc Luber: Thank you for joining us at Careers Out There today. Green Building Consultant Debbie: My pleasure. Luber: So you, Debbie, are on a very hot career path right now. You’ve got one of those green jobs. We’re all hearing about green jobs, and a lot of people in America don’t know anybody who actually has a green job, and you have one. So it’s gotta feel pretty exciting for you to have that right now. LEED Consultant Debbie: Yeah, you bet it does. It’s great to have a green job. It’s not because it’s the color green, but only because green meaning that it’s much more ecologically friendly and it’s helping people build and do things in a much more sustainable way so that we help sustain our environment for future generations. Luber: That’s excellent. It’s a noble cause. I want to read a definition from Wikipedia of what green building is, because you are a green building consultant and I have all kinds of questions for you about what the life of a green building consultant is like. But first, for the benefit of the audience, I’d love to read this definition from Wikipedia and have you add to it or comment on it. Luber: According to Wikipedia, green building, or sustainable building, is the practice of creating structures and using processes that are environmentally responsible and resource efficient throughout a building’s life cycle. That includes everything from the siting and the design of the building to the construction, the operation, the maintenance, the renovation and the deconstruction. The main goal of green building is to reduce the overall impact that building has on human health and the natural environment by efficiently using energy, water and other resources by protecting occupant health and improving employee productivity and by reducing waste, pollution and environmental degradation. That’s pretty amazing stuff. Do you have anything to add to that or comment on? Debbie: It’s a fairly wide-ranging definition and it includes a lot of things. One thing I can say about green building is it’s changing the way people are thinking about building. Instead of thinking of a building as a thing in the environment, just as an isolated object, we are now thinking of buildings as organisms, in a way, that interact with our natural environment. And this is why there are so many aspects to this definition that you just read. One of the other aspects of green building that we also try to include is the comfort and the well-being of the building occupants, because for us, as architects, the occupant is who the building is for. And so that is our main goal. But to be able to incorporate nature and environment in with the building, it helps to create a much better space for people. Luber: OK, good to know. So as a green building consultant then, working with that goal in mind all the time, what do you do? Debbie: What I do is, as a green building consultant, I help project teams that are on a building project incorporate sustainable practices in their projects. I’m not the designer of the buildings. I work with the architects, the contractors, all the engineers and consultants on the project, along with the building owner to make sure that they get what they want in the building. But what I do is I facilitate the incorporation of sustainable measures. There’s a system that grades buildings on how green they are by points. It’s called LEED, Leadership in Energy and Environmental Design. What we do is we help project teams meet these points and document them so that their buildings can become certified as to whether they are very green or somewhat green or just at least thinking about green. Luber: Give us an example, Debbie, of the type of project that you’d be working on so we can all see how it all comes together. Debbie: Alright. An example of a project we’d work on, we usually work on commercial projects for our company, and an example would be a warehouse that we recently finished in an industrial area. And you wouldn’t think that an industrial area building would be necessarily green, but the company that we were working with really has a vision of sustainability throughout its corporate structure. So we started off with things like making sure that storm water is contained on the site and that its infiltrated in the ground, because there are serious water issues in California. So we made sure that we treated our storm water in a way that doesn’t let it run off the site. So there are other issues like energy efficiency. We switched out our typical warehouse cooling system for a swamp cooling system, which is much more energy efficient. So we were able to save a lot of energy. Something like 38% of energy from regular conventional buildings on that one. So we think about conservation, efficiency, and also the way that materials are procured and disposed of from the building project. So when the contractor ordered products, they ordered things that were typically recycled, other things came from a location nearby so they wouldn’t be transported very far, which would save on fuel, which contributes more to efficiency. And also, when they disposed of waste from the construction, they made sure that it went to a recycling plant so that it didn’t go into the landfill. This way, they cut down on a lot of waste and contributed to reusing those materials, further increasing the efficiency of energy in the project. Luber: That’s great! So is the building actually more expensive in a case like this where you’re getting the benefits of sustainability, not using so much energy, not hurting the water and the world around the building, is that adding a lot to the cost of the building as well? Debbie: It depends on the project. Cost in green building, if factored in early in the design, really doesn’t add very much at all because as time goes on, manufacturers are beginning to manufacture their products in a much more sustainable way so that when you look for something that’s ecologically friendly, they’re much more available and the prices have come down, especially in the last 5 years or so. But beyond that, the building codes for each city are beginning more and more concerned with sustainability issues. So whether or not you have a green building certification system, the building codes are requiring that a lot of these measures be taken. Other than that, if the measures are taken on early in the project, there is much less of a cost because there’s not a rethinking of design. The design team goes in there with a very integrated way of thinking of the project and is able to find efficient ways of incorporating sustainability measures. Luber: Wow. So, for those people, then, that – and we don’t get political on this site – but for those people around the country who maybe believe that protecting the environment is an Al Gore creation for some business gain of his or some scheme or scam – they shouldn’t need to worry that taking these measures will ruin the economy or ruin the finances of the businesses who are trying to put a new building up. Am I taking the right idea from you? Debbie: Yeah, I would say so. I would say that when building a greener building, I would say that it’s to an advantage of the building owner because it has been found that tenants who occupy those buildings see it as a much greater value for their money because they know that a green building is better for the environment. It’s much more energy and water efficient, so that that way their water and energy bills go down. Not only that, the toxicity of these buildings has been much more of a concern in a way where the building has been designed so that they don’t have a lot of toxic materials, so it’s healthier for you. You tend to get more daylight, you get better thermal comfort, because all these things are factored in as part of a green building. So I would say that on the whole, a green building – even though it may cost slightly more – usually it’s about 2-3% more than a conventional building, which isn’t very much considering the life of the building, I would say that it’s a win for everybody involved. Luber: Good to hear. So when you say the lighting, the daylight – so then, someone sitting at their desk who is always complaining about that horrible, overhead lighting that’s shining on them as they’re using their computer or trying to read documents, they wouldn’t have to deal with that as much because real light is coming in from outdoors. Is that right? Debbie: Yeah, that’s pretty much it. I mean daylighting, personally I like it better because it’s much more even, it connects you to the outdoors and you get a much better feeling from daylighting. Also you can control it by shades or whatever and with overhead lighting for a whole room, say you’re in a cubicle, you don’t have any control over that. And sometimes it can be very uncomfortable. It can shine on your screen or, you just don’t have any control over it, so I feel that daylight is much more comfortable. Luber: Cool. So walk us through a typical day. Let us get an idea of what a regular day is in the life of someone who is a green building consultant. Debbie: A typical day for a green building consultant varies because every day what we try to do is we try to educate our clients and the project team members. So a typical day will include making sure that people on the team are aware of what they need to provide in order to show that they are fulfilling a green-point credit. Also to coordinate with people to make sure they are clear on what they need to do in order to incorporate green measures. I’d say that most of my day is spent talking to people and helping them understand what green building is and how it relates to what they’re doing and how it can show that what they’re doing is actually sustainable. Luber: Well is this conversation that you have, is it a technical conversation and who is it that you’re having it with? Is it a technical person? An engineer? A project manager? Who is it that you’re talking to at the other end of the phone and how does that conversation go? Debbie: Typically in a day, I will be speaking to all members of a project team. That would include representatives of the owner, it would include a contractor, the architects, the engineers – which would include the civil engineers, the electrical, mechanical and plumbing engineers and sometimes an energy modeler. And all these people are thinking about how this building is going to integrate to be more sustainable and how we are going to show the LEED certification body that we are actually meeting the requirements of the point system that they have. So a lot of what I do is educating on that end and then also helping them document and just the nitty-gritty uploading to their website of their documentation of their compliance with their LEED credits. Luber: OK, got it. And then is this the kind of conversation that someone could have if they don’t have a strong technical mind? For example, I was an English major in college. I have a feeling that if I was sitting down trying to do your job, I would be completely lost – I would have no clue what I’m doing. Am I right? Is this the kind of field that is really for a technical brain? Debbie: I would say yes. Well, I happen to be a very technically-minded person and I enjoy learning about the technical parts of my job. So I would say to a certain extent, yes. Having a really good background and knowing the process for building and construction is really helpful. So that kind of knowledge will help you to see the whole process and to see the next steps in the building process and how they relate to sustainability issues. So first of all, you would know what the issues for sustainability are, and secondly you would know what the process is for building, and third you would also know who interacts with whom to get the job done. And with all those 3 areas, you would have a good idea of how to implement a sustainable building. Luber: And to go back to the point system for the sustainable buildings, you were mentioning that there were points that the people are getting based on certain aspects of the building, is it your job then to help them figure out – OK, as it is right now, there’s not enough points. Here’s what we could tweak here, or what we could tweak there, and this will help you get that right point score so that you can be certified as a green building. Is that a part of your job? Debbie: Yes. Strategizing is a part of our job. We try not to strategize in order just to get points. We try to strategize in order to maximize the amount of sustainability for the project so that the project team gets credit for including sustainable measures in their project. Because sometimes, even though the point system is there, maybe the team has done something slightly different away from the point system that is still meeting the intent. And so to strategize in order to include that feature in the building is one of the ways that we help our team do that. And then we also help them see synergies between strategies so that, say you save a lot of water on your toilets and your faucets. Well there’s another point in this LEED system that gives you credit for reducing your waste water. So if you save enough water from your toilets and your faucets, then you’re also eliminating a lot of waste water from the project, so you can gain another point. So it’s strategies like that that helps the points synergize together. Luber: It’s interesting how that’s all connected. One thing leads to another. Debbie: That’s right. That’s true. Luber: So what’s the most fun part of this? What’s the most rewarding aspect for you? Debbie: For me the most rewarding aspect is to see how people realize it’s not as difficult as they thought it was, and to understand that they feel that it’s important to do these things. I think the education part, for me, is the most rewarding part, because what I’m doing is helping people see, and in a way, I feel that I’m enlightening them. It helps them feel like they’re doing something good, not just for their pocketbook but they can also do something good for the environment as well. Luber: This is really sounding like a good career path for someone with a technical mind who really cares both about the future of building as well as the altruistic aspect – the saving the environment and protecting the health of your fellow citizens. Is that accurate? Debbie: Yes, I would say so. It’s an all-encompassing sort of a job, and that’s what I like about it. Luber: And what’s the lifestyle like? Is it a long day, high stress situation? Is it the kind of career path where you can have a work-life balance? Debbie: For me, I feel like it’s a work-life balance thing. It just depends on the day. Sometimes it is stressful. There are parts of the process that require somebody who comes along, a 3rd party who comes along, and makes sure that the contractor is doing what the design documents say, for instance, on the project. And sometimes, there’s a lot of conflict that goes with that because there’s a lot of liability issues. Say the contractor didn’t do something to code and this 3rd party person comes in and says this is not right, then there are issues of who does what? Who is responsible for paying for what and who is liable for this? So it can become very tense. It can be a very stressful sort of thing. But, in that case, this 3rd party person is double checking. It’s quality control for the whole project. So it’s improving the project, in my opinion. But otherwise, since I am working on something that’s not necessarily life and death, it’s not like being in a doctor’s office or an emergency room, I would say that my job is much more relaxed than something like that. One thing that we have at our company is the ability to telecommute and to work from home and just go in the office a few days a week. So it helps us save by cutting down on our transportation miles, so it integrates with our business model and it also helps me be more productive at home because I’m not interrupted by what’s going on with the office. I’d say it’s a good lifestyle. Luber: And what about the environment? What’s the workplace environment like? Is it casual, when you’re actually in the office or interacting with clients? Is it a casual environment like jeans? Or is it a suit kind of an environment? What’s the vibe? Debbie: It depends……….If I’m in the office, it depends on what we’re doing that day. If we are just in the office with ourselves, not meeting any clients, it can be a jeans kind of day because we’re not exposed to anybody but the other workers in the office. But usually, when you go to client meetings, I dress business casual, enough to be in a business setting. So, for instance, I’m not wearing jeans. I’m usually wearing something nicer like a skirt and a nice shirt, and maybe a jacket. But otherwise, it can be very casual. So it depends on the situation. Luber: What about money? What if somebody’s new in this field, someone is watching right now and they do whatever it takes to get into the field, and I want to talk about what it takes, but let’s say you get in and you start. You’re new at this. What kind of money can you expect to make annually if you’re new at this? Debbie: If you’re new at this, I would say that you could probably make, I would say around $45,000-$55,000 a year. I would say that the range would be between $45,000-$55,000 a year for a starting position. Luber: OK. …And as someone moves up, you don’t have to say what you’re making right now, but what’s a range that someone could make who’s been in it for a little while, and what’s a range that someone could make who’s a superstar in the field? Debbie: Well it depends. For green building, it’s changing all the time, so it’s really hard to say. For a mid-range person, I would say you could probably make around up to about $60,000 or so. But for somebody who is really knowledgeable about green building, I would say somebody that’s really an expert and is able to really see the whole process about what they do and to write about it and talk about it publicly, I would say that you could probably make around $90,000 or $100,000 a year. Luber: And then somebody who is running a company like the company that you’re working at, how are they bringing in business? How are they getting new clients? Who are they talking to to lure in as clients? Debbie: Usually the people we talk to are architects and contractors and developers. Those are the people that we typically talk to. But a lot of times we get projects in the office by answering requests for proposals from either municipalities or even from the state. So it depends on where we look. A lot of times we get our jobs by word of mouth and we are referred to by past clients who really like what we do, so it ranges. Luber: Referrals are always good. Did you say the types of buildings? You said they were industrial, was that right? Debbie: Well they’re not entirely industrial. Industrial is only part of what we do. We do commercial buildings, which would include retail and office buildings. We’ve also done schools, which range from – we’re doing a middle school, and also we’ve done colleges and universities. We haven’t done any hospitals yet but we could do that. And also, multifamily residential projects. Luber: OK, wow. A lot of variety – that’s gotta keep it fun for you! Debbie: Yeah, it’s a lot of fun. It’s great because each of these different type of projects has a different process associated with it. The general process is the same but you get to learn about how these different types of buildings come together. Luber: That’s great. What about education? What would somebody need first as far as a background in school – what type of degree – and then what type of certification or licenses do people need in order to get a position like yours? Debbie: As far as education goes, it would be good to have an education in environmental science. It’s a somewhat new type of educational background you could get nowadays. My own education included architecture. But I know that people in interior design can do what I do. A lot of architects do what I do. But mainly, in order to go through the LEED process, a LEED Accredited Professional certification is needed. And also there are other systems for certifying buildings. For residential, there are things like green homes. You can become a green homes rater or there’s a variety of other ones. So doing some research on the different certification systems would help a lot. Other than that, even somebody who might have been a contractor or is one, engineers can do what I do, and also people who are in development would be ideal for this job. Luber: OK. As far as the certification websites, I could give those out at the end of this whole video. But would you say is the GBCI.org site for the Green Building Certification Institute – is that likely to lead people in the right direction to find out about testing and getting certified? Debbie: Yes……….Yeah, I would say so. They are probably the most widely known certification system, so the GBCI would be the most important. Luber: Great. So we’ll send people to GBCI.org, that’s Green Building Certification Institute. GBCI.org, Green Building Certification Institute is the place to go to learn about getting certified. And the LEED certification exam that you took – is that a real challenging test? Is it the kind of thing where people need to do a lot of prep work, almost like taking the SAT, or the MCAT or the LSAT? Debbie: I would say that preparation for the LEED exam is important because there are a lot of areas to be covered on it and it’s not exactly a very easy test. It’s a 2 hour test minimum to get a Green Associate certification, and then for an Accredited Professional, it’s another 2 hours of testing. So yeah, definitely prepare for that LEED exam. Debbie: I think somebody who is willing to first of all be patient with people who aren’t as knowledgeable as you on something. Having the patience to explain something to somebody. Having a good rapport with people so that you can get the best out of them and help them along, help them learn, help them be able to learn what you’re doing so that they can at least in turn do it for themselves. So with that attitude, having a good attitude about how you’re helping them change their outlook on what they do. Being a people person, being firm about what you’re standing for and also seeing the benefits for everybody. Luber: And what about skill sets? Certain skill sets beyond the degree, beyond the technical degree? Would you say multitasking, things like that? What kinds of skill sets are necessary? Debbie: For what I do, organization is a very important part of what I do. Because the LEED certification part of what I do requires that you keep track of all the points that you’re going after, and keeping track of all the documentation, and being able to remember it all. And also being able to explain to all the team members where you are in the process. So being able to be organized and being able to have a good understanding of the concepts and understand the process. So being process-oriented, in a way, because most of what I do is process, not necessarily goal-oriented. So those two things are really important skill sets. Luber: Now you weren’t always a green building consultant. Green building consulting is fairly new. What were you doing before this? Debbie: Before this I was working in an architectural office. I was working in a residential firm as a drafter and what they call a job captain, making sure that all the documentation was put together for the houses we were working on, and making sure that all the documents coordinated with all the consultants like the engineers and the acoustical people and whatever have you. So I was working in this office, working on fairly large houses, houses that were using a lot of energy and using a lot of land and resources. So I decided that I didn’t want to do that anymore. It didn’t seem sustainable to me. So I decided to look elsewhere for a much more responsible kind of work. Luber: And how would you say working in a regular architectural firm doing conventional projects differs from working in a green building firm – in case there’s other people watching who would consider making a similar switch? Debbie: I think working in a green building firm differs from a conventional firm in that there is a much more holistic view of design in a way that encompasses not just the environment but encompasses people’s well-being. And I believe that it has a much more positive vision for the future, whereas in a conventional firm, there was just a vision for the object of the building itself. For me, in a sustainable building firm, I see much more of a vision of the future and of the way our future can be. Luber: Well that’s an exciting difference between the two types of firms. Hopefully there will be a lot of people looking to make the change and grow the green building movement. Let’s say this all sounds good to me, whether I’m in high school, or college, or I’m out there working at a traditional architecture firm and I really want to go for this. What kind of advice would you give me as far as an action plan for things I could do now. Maybe I need to choose a major in college, maybe I need to get some kind of summer internship, or maybe I’m in the working world and I need some continuing education. Give me some action plans for those different steps along the way. High school, college, and out there in the world. Debbie: First of all, for high school, I would think about what you’re interested in. If you’re interested in building as an architect or you’re somebody who is just interested in the environment, a career in environmental science is out there now. It wasn’t out there about ten years ago. If it had been, I would have done something like that. In college, well, environmental science, obviously. But also think about whatever major that you have, think about how it relates to how we sustain ourselves on Earth, how we will care for our resources and our natural environment. Every major has a connection to this and there are ways that we could always think about these sorts of things. For example, economics is not just financial. Economics includes resources, natural resources, and the way that we value those natural resources. So even if you’re in a job already, educate yourself on how this relates to your job and educate yourself on what the issues are as far as the environment goes and as far as how what we use, how what we do, the energy that we use, the water that we use, the resources that we use, how does that affect what we do and what are the issues associated with that. So I would say that the information is all out there – it’s a matter of finding it and asking questions. Always ask questions. Luber: There’s a book that I want to recommend to everybody and I’ll put a link on the site too. Natural Capitalism by Paul Hawken and both of the Louvins. Paul Hawken created Smith & Hawken, which is a firm that a lot of people, a company that a lot of people have heard of – they sell a lot of nice gardening-related items, and the Louvins run a policy center for the environment in Colorado. The book is called Natural Capitalism and again I’ll have a link on the site. This is not a paid advertisement. I found it to be a fascinating book. One of my favorite books of all time, actually, and it teaches all aspects – not just of green building, but of green city planning and all the ways that we could change how we run our society and how we live while completely sustaining the economy. It is not an economy-crushing book, it is not a downer saying we’re all going to die and drown. It’s a very uplifting book saying how we can still make a huge difference to save our planet, save our health and continue to grow our businesses, just in a responsible way. If we could all just take responsibility. So it’s a great book. I highly recommend it. I’ll have links on the site so that you could get the book. It would be great if you buy through the site here, it will be an affiliate link to Amazon. So what would you say Debbie, is the biggest challenge? What would you say, if you can’t handle this, then being a green building consultant is not for you. What would that be? Debbie: Well, obviously, if you didn’t think there was a problem with the environment, then green building would not be for you because if you don’t realize that we need to be stewards of our environment, then there’s really not much that you’re going to be driven in order to learn the things that you need to know to be a green building consultant. So I would say that having this understanding of our effect on the world and the ecology and the environment is crucial to being a green building consultant. Luber: So Debbie, what’s the next step for you? Where do you want to take this? Debbie: I want to take this……Personally, I want to take this back into the architectural firm. I’d like to find another conventional firm to work in, but I want to take this knowledge that I have and be able to apply it to the design process so that when I design, I can actually think about things beyond just what the building is doing but how it’s interacting with it’s community, how it’s interacting with the environment and how it’s interacting with the people inside. So for me, this has given me a much broader view of what a building is. Luber: Wow, that sounds great. So you’ll help shift the other side of the world over to the green side. Luber: Have them leave the dark side! So, if I’m watching this video and I’ve decided, maybe I’m already on the path to taking the LEED exam and I know I want to go down the same path you’re on, what kind of tips can you give as far as what you see people looking for who are on the hiring side? Whether it’s your company, working with you, or whether it’s someone else’s company, what should someone know if they’re hitting the pavement now to get on your path? Debbie: I would say the first thing I would look for is a commitment to sustainable design and the importance that it has in shaping the way we build. That would be the first thing. Secondly, I would look for a knowledge of the issues that are involved and a thirst for more knowledge – to understand. Because the thing about green building is that it’s changing constantly. There are always new technologies and there are always new ways of thought in order to help us better with the building environment. So looking for somebody who has an interest in finding out why things work and how they work and also an interest in keeping up to date with whatever’s out there. And also a good understanding of what the issues are. So that and also a knowledge of the building and construction process. Knowing what it means to get a building built, who is involved and how everyone is involved and also, just passion, I would say. Luber: And you clearly have that for what you do. Luber: Definitely. So give us some keys to success. What are some good keys to success for someone in your space? Debbie: Good keys to success. I think always having a good attitude is a good key to success. When you see people that you’re working with as assets to what your goal is, that is always a positive reinforce of getting that goal done. Seeing how people work – because everybody’s different – everybody has a different understanding of the process. Being able to help somebody help a team consolidate their efforts to a common goal is really important in the process of helping people understand what the goal is. So I would say those are the keys. Luber: Excellent. Well thank you very much. Everybody, as always at Careers Out There, we get real advice from real professionals like Debbie here. And Debbie, I just want to say thank you so much for joining us at Careers Out There. Debbie: You’re welcome. That was my pleasure.